David recently recorded his debut album with Omega Ensemble on the ABC Classics label. This album was a collaboration between Omega Ensemble and Dimitri Ashkenazy (clarinetist), with a performance of George Palmer’s Clarinet Concerto It Takes Two. 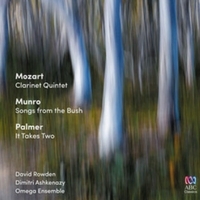 The album also features a performance of Ian Munro’s beautiful Clarinet Quintet « Songs from the Bush » alongside Mozart’s Clarinet Quintet. 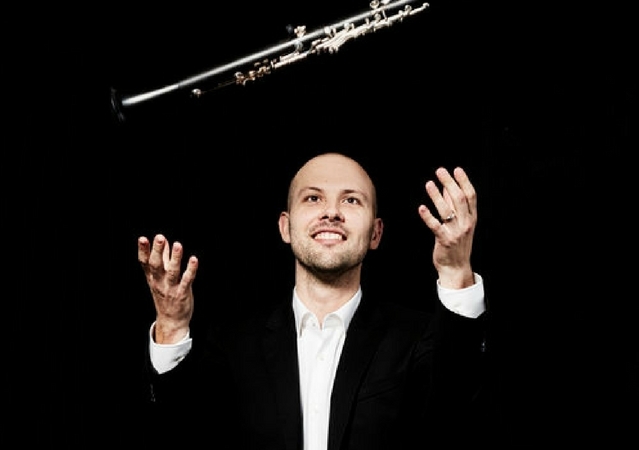 David is a Buffet-Crampon artist and currently performs on the new Divine clarinets. In March 2017 David joined the staff at the Newcastle Conservatorium of Music as part of the University of Newcastle. In November 2017 David toured to China with Omega Ensemble giving performances and masterclasses at the Beijing Central Conservatory, Chang Chun’s JiLin College of Arts and Dalian University. In March this year, David returned to China with the Ensemble to perform in the Sanya International Festival of Arts in Haitang Bay. Omega's debut recording on ABC Classics, surveying music for clarinet from across three centuries.